Is the EU plastics strategy enough to fight marine plastic pollution? If we don’t take action to curb plastic pollution, by 2050 there will be more plastic litter in our oceans than fish. This notion, together with other discussions on plastic pollution, has kicked even the European Commission into action. A long planned EU ”Strategy on Plastics in the Circular Economy” was published on January 16th. In the strategy, the EU commission explains its plans to reduce the impacts of plastic pollution. The strategy discusses not only voluntary measures but also taxation and similar fiscal means, which are often the most efficient ones. On top of this, the door is left open for legislative measures, which are effective as well. It is delightful that the magnitude of the problem is acknowledged and a solution is being actively sought. Specifically, the strategy pays attention to microplastics (plastic particles below 5 mm in size), disposable plastic containers, and oxo-degradable plastics. 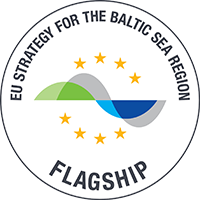 Concrete themes are also discussed, for example the idea to develop new measures to reduce the loss of fishing gear at sea, including possible recycling targets or deposit schemes to disincentivise dumping. This would bring direct benefits to the marine environment. There are also new plans to prevent the loss of pre-production plastic pellets, the second largest source of microplastic pollution. So, the commission seems to be on the right track with their plans. The strategy was welcomed by European NGOs, such as the European Environmental Bureau and Seas at Risk, working on the issue under an umbrella campaign Rethink Plastic. The campaign welcomes the intention behind the objective that all plastic packaging on the EU market can be reused or recycled by 2030. However, the absence of a clear target lessens the impact of the aim. After all, we should see the existing momentum as a real opportunity to make all plastic packaging non-toxic and environmentally sound. Unfortunately, the strategy also has a tendency to look for solutions among different kinds of voluntary agreements and pledges expected to be developed by industry. Generally, we can say that voluntary measures are only effective if there is a risk of binding legislation looming in the background. Thus, voluntary measures should in no way replace political action. Start a phase-out of disposable containers that are only used once before they are thrown away. Forbid the intentional use of tiny microplastics particles in all products, e.g. in cosmetics, paints, and detergents. Forbid the use of so-called oxo-degradable plastic bags, because in practice they are also a source of plastic fibres that get into soil and waters. Introduce refund systems for all plastic products to encourage proper recycling. Put a tax on plastic raw materials and prevent the loss of plastic pellet raw materials into nature in cooperation with producers. Make sure that producers take responsibility for the environmental sustainability of plastic products, e.g, by developing washing bags for fleece and other technical clothing so that the microplastics are collected in the washing maschine and do not get into waste water. In cooperation with producers, work towards making plastic material more recyclable by having less variety of plastics and less degradation of materials in recycling. E.g., white plastic bottles can be recycled more times than colourful ones.